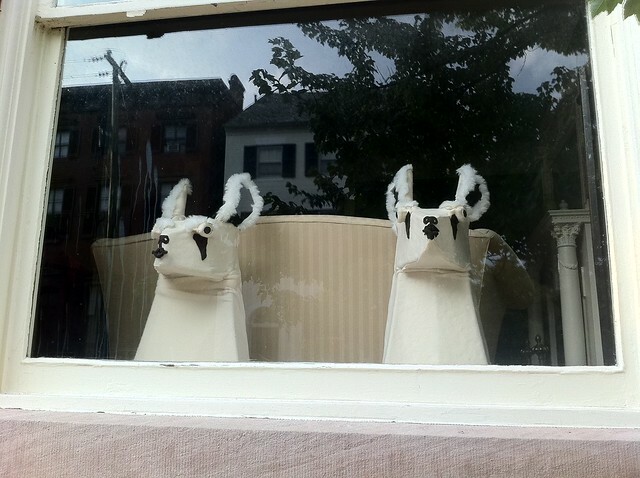 Meet our friendly neighborhood Llamas! These two furry home companions often adorn the front window of one of our neighborhood's homes. Better yet, they are quite festive animals, frequently dressing up or adding props for various major and minor holidays or events. Below is a wrap up of the many different outfits, costumes, and getups these two furry camelids don. What the...? Celebrating Mother's Day Llama-Style.